Hello beauties and Happy Saturday! With the hot summer days right around the corner I wanted to share with you one of my favorite ways to refresh and cool myself – using body mists. I am a huge perfume lover but when it’s dreadfully hot outside I much more prefer to use something lighter and more fresh and to me the body mists / sprays are the best way to do so. The ones that I found and love the most are Victoria’s Secret Fragrance Mists. I have tons of them (see my review on Aqua Kiss) but the one I am currently in-love with is Sheer Love. Sheer Love is described as “An irresistible, fresh fragrance. Fall in Sheer Love, bright and cheerful with fresh white cotton and luminous pink lily”. It has really fresh and noticeably floral notes to it, but they are by no means overpowering and feel really light and soft. 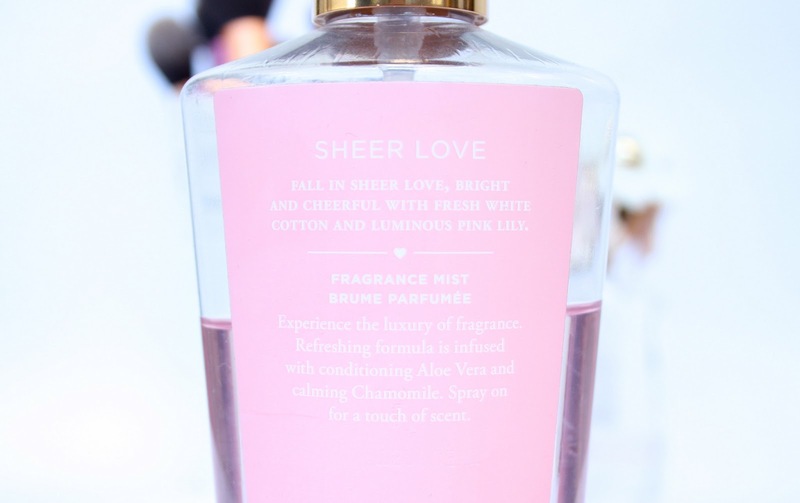 Sheer Love is such a happy, young and feminine scent and when I spray it on me it instantly puts me in a great mood. (: It basically smells like spring or summer in a bottle! The scent is so fresh and clean so if you are not particularly into floral scents you still may like it in my opinion. Sheer Love is quite a neutral fragrance and some people may say that it is boring but I absolutely adore its freshness and sweetness! Have you tried Sheer Love before? Do you own any other fragrance mists from Victoria’s Secret? Id love to try out one f the victora secret scents they looks lovely! this sounds lovely! i want to try one now! We don't have Victoria's Secret over here, but I'd love to try alllll of them haha! I plan on taking lots of them with me when I'm going to New York in September. Great post! This one sounds amazing! When I went London I picked up 4 of these but not this scent! I'll have to check it out next time! This sounds like such a lovely product. I have one body mist from Victoria's Secret and love it! I've never tried a body mist but this look and sounds lovely! I loveeeeeeee VS scents, so yummy! My faves are Bombshell and Noir Tease! LOVE your blog! My favourite perfume is the Victoria's Secret 'Heavenly' - its beautiful! 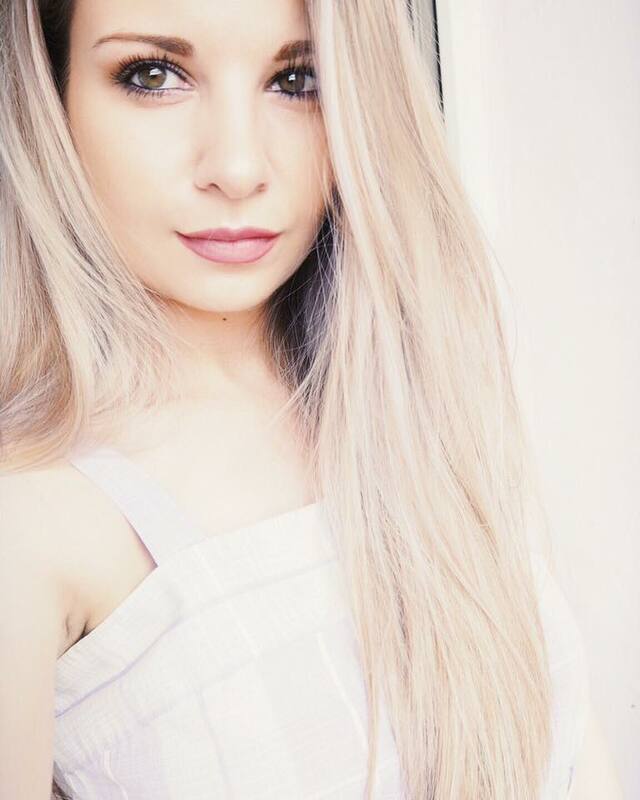 My blog is still a baby in the blogging world and so I'd really appreciate it if you had a spare minute to visit! I have this scent and I really like it! Victoria's Secret never lets me down! This sounds amazing! i will definitely have to try it out! these pictures are so pretty! i love this fragrance! I have never tried these but it looks amazing!! Will have to look up on it next time I go to Victoria Secret!! I like this beautiful information thanks for sharing with us. I love read this type blog because I love fragrance and my favorite eternity perfume. Its fragrance are very good and attractive. passion in the last few years compared to "NBA 2K." It would certainly be NBA2K18 The only concerns that have actually stood apart are with body components that. All you simply require a net link to download and kingrootapkdownloads The programmers had actually not developed one yet. This Woody Fragrance mist is infused with natural ingredients like Herbal Extracts, Glycerin, Pure Grain Alcohol, Essential Oils. And it stays all day long.
. A large portion of the incredible Drew Barrymore Wrinkle Cream discovers you can have are in stores that are selling stock products originating from other retail suppliers that have shut.